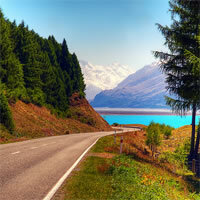 Top Rated New Zealand Vacation Package! Visit Auckland, New Zealand`s largest city and the most vibrant, bustling and multicultural place; a water lover's paradise, with some of the best beaches in the country; ideal for swimming, diving, fishing, sailing, and windsurfing. 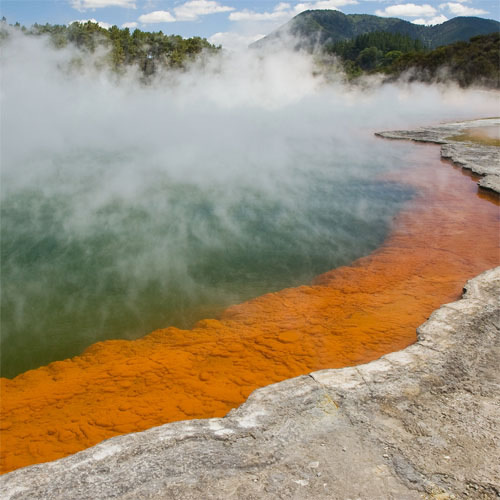 Explore Rotorua, more than one occasion voted New Zealand`s most beautiful city; a geothermal paradise and the cultural heartland of New Zealand. Fly to Queenstown, a resort town and a hotspot for adventure and snow sport tourism. This is a flexible vacation package to New Zealand with daily departures from anywhere in the USA or Canada. Choose your length of stay. Pick your own flights, hotels and activities. Add, remove or reorder cities. Sparkling City and Iconic cityscape. 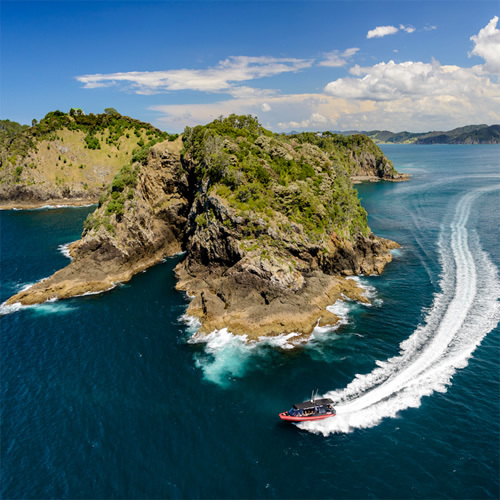 Begin this incredible experience flying into Auckland, where you can find world-class shopping, also offers seaside art galleries and the unique Torpedo Bay Naval Museum. Combine this amazing adventure flying into Sydney, voted world's best travel destination for six consecutive years, visit Sydney Opera House which is the most recognizable landmark. A truly unforgettable experience you won't want to miss! A taste of New Zealand's best cities. First stop, Auckland, one the world's most beautiful cities, where you can find world-class shopping such as Britomart Precinct, go to Devonport that offers seaside art galleries and the unique Torpedo Bay Naval Museum, another place you cannot miss is Karangahape Road famous for its live music, entertainment and cabarets, you can also take a glimpse of Mt Eden, Viaduct Harbour, Birkenhead, then move onto the islands of the Hauraki Gulf where you can enjoy fantastic activities. Combine this amazing adventure flying into Christchurch, a cosmopolitan city with unique attractions, definitely a must on any travel plan, visit Canterbury Museum offering rich cultural and natural heritage, then move onto the Re Start container mall and experience unique shopping, sightsee the transitional Cardboard Cathedral; a visit to Christchurch is not complete until you go to the gorgeous Botanic Gardens, the International Antarctic Centre and Orana Wildlife Park. Finally, to bring an amazing experience to a close, fly into Queenstown, known as the "Adventure Capital of New Zealand", this top visitor destination offers the perfect setting for adventure and fun all year, explore the crystal clear Lake Wakatipu, Lake Hayes, The Remarkables ski field that offers great skiing and snowboarding, Gibbston Valley where you can enjoy tours of the winery and the astonishing wine cave, do not miss visiting Arrowtown which is one of the most picturesque settlements in New Zealand. Sparkling City, the Coolest Little Capital and the Garden Spot. First stop, Auckland, one the world's most beautiful cities, dotted with world-class shopping such as Britomart Precinct, visit Devonport that offers seaside art galleries and the unique Torpedo Bay Naval Museum, then sightsee Karangahape Road famous for its live music, entertainment and cabarets, you can also take a glimpse of Mt Eden, Viaduct Harbour, Birkenhead, then move onto the islands of the Hauraki Gulf where you can enjoy countless fantastic water activities and island adventures. Combine this incredible experience flying into Wellington, visit Te Papa which is Wellington's must-see attraction, then go to the City Gallery offering contemporary international exhibitions, marvel at the amazing city views atop Mt Victoria and definitely do not miss experiencing a historic trip on the Wellington Cable Car where you can enjoy dramatic views of the growing cityscape and the surrounding hills. Finally, to bring an amazing experience to a close, fly into Christchurch, a cosmopolitan city with unique attractions, definitely a must on any travel plan, visit Canterbury Museum offering rich cultural and natural heritage, then move onto the Re Start container mall and experience unique shopping, sightsee the transitional Cardboard Cathedral; a visit to Christchurch is not complete until you go to the gorgeous Botanic Gardens, the International Antarctic Centre and Orana Wildlife Park. Sparkling City and the Hub of the Cook Islands! Begin this incredible experience flying into Auckland, a beautiful city packed of world-class shopping such as Britomart Precinct. Visit Devonport that offers seaside art galleries and the unique Torpedo Bay Naval Museum, then sightsee Karangahape Road famous for its live music, entertainment and cabarets. Combine this stunning experience flying to Rarotonga, a secret island paradise where you can visit Muri, the most beautiful section of Rarotonga's encircling lagoon, then go to Highland Paradise where you will find panoramic views over the west and south coasts. Leave the crowds behind, and enjoy a truly unique island getaway. Sparkling City and Blend of Cultures. First stop, Auckland, one the world's most beautiful cities, dotted with world-class shopping such as Britomart Precinct, visit Devonport that offers seaside art galleries and the unique Torpedo Bay Naval Museum, then sightsee Karangahape Road famous for its live music, entertainment and cabarets, you can also take a glimpse of Mt Eden, Viaduct Harbour, Birkenhead, then move onto the islands of the Hauraki Gulf where you can enjoy countless fantastic water activities and island adventures. Combine this majestic adventure, flying into Nadi, the ideal place to base yourself during your trip, go to Denarau Island, where you'll find Nadi's top-end resorts, tourist shopping and eating area, explore Nadi's open-air souvenir market where you will find traditional Fijian crafts, discover Sri Siva Subramaniya Swami Temple which is an elaborately painted Hindu temple, and definitely do not miss visiting the beautiful Sabeto Valley, the Garden of the Sleeping Giant that is famous for its collection of orchids and tropical plants, and the Viseisei Village which is the legendary landing site of the first Fijians. Best of Australia and picturesque New Zealand. Begin this incredible adventure flying into Auckland, a sparkling city and one of the most beautiful around the word. Combine this amazing adventure flying into Rotorua, famous for its fascinating Maori Culture, as well as bubbling mud pools and natural hot springs. 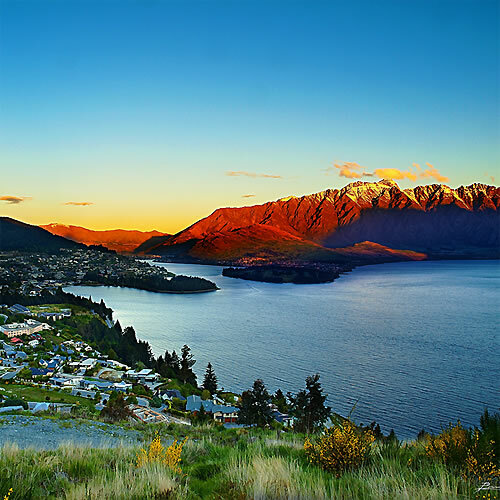 Continue this stunning experience and hop over to Queenstown, known as the "Adventure Capital of New Zealand". 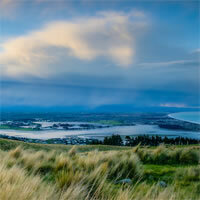 Then, fly into Christchurch, a beautiful place that offers rich cultural and natural heritage. Reaching the end of this incredible adventure, fly into Cairns, the gateway to the Great Barrier Reef Marine Park, Daintree Rainforest and Cape Tribulation in Tropical North Queensland. Finally, to bring such an unforgettable experience to its end, fly into Sydney, voted world's best travel destination for six consecutive years. What a combination! Idyllic getaway. Begin this marvelous experience flying into Auckland, a scintillating city, considered one of the most beautiful around the world, dotted with vibrant shopping precincts offering world-class collection of boutiques, sightsee beautiful Devonport, a picturesque seaside village which is a perfect choice to escape the hustle and bustle of the city, you can also take a glimpse of the islands of the Hauraki Gulf where you can enjoy countless fantastic water activities. Combine this amazing adventure flying into Rotorua, home to breathtaking sceneries, heartland of Maori Culture, bubbling mud pools, natural hot springs, as well as extraordinary highlights including Mount Tarawera, Whakarewarewa Forest, and several stunning lakes. To continue with this amazing experience, fly into Wellington, named "the coolest little capital in the world", visit Te Papa which is Wellington's must-see attraction, then go to the City Gallery offering contemporary international exhibitions, marvel at the amazing city views atop Mt Victoria and definitely do not miss experiencing a historic trip on the Wellington Cable Car where you can enjoy dramatic views of the growing cityscape and the surrounding hills. Reaching the end of this incredible adventure, fly into Queenstown, known as the "Adventure Capital of New Zealand", this top visitor destination offers the perfect setting for adventure and fun all year, explore the crystal clear Lake Wakatipu, Lake Hayes, The Remarkables ski field that offers great skiing and snowboarding, do not miss exploring Gibbston Valley where you can enjoy exciting tours of the winery and the astonishing wine cave. Finally, to bring such an unforgettable experience to its end, fly into Christchurch, named the garden city, marvel at its unique attractions and go to Canterbury Museum that offers rich cultural and natural heritage, then move onto the Re Start container mall and experience unique shopping, a visit to Christchurch is not complete until you take a glimpse of the transitional Cardboard Cathedral, the amazing Botanic Gardens and the International Antarctic Centre. Contrasting beauty and Sparkling City. Begin this incredible experience flying into Tokyo, a mysterious city with ancient traditions, tasty food and an unlimited choice of shopping and entertainment, do not miss visiting the Imperial Palace, Tsukiji Fish Market, the Temple of Senso-ji, and Akihabara District which is famous for its electronic shops, stay continuously entertained by many more attractions that Tokyo has to offer. Combine this stunning adventure flying into Auckland, where you can find world-class shopping such as Britomart Precinct, then go to Devonport that offers seaside art galleries and the unique Torpedo Bay Naval Museum, another place you cannot miss is Karangahape Road famous for its live music, entertainment and cabarets, you can also take a glimpse of Mt Eden, Viaduct Harbour and Birkenhead, then move onto the islands of the Hauraki Gulf where you can enjoy fantastic activities. A truly unforgettable experience you won't want to miss! New Zealand's and Australia's premier cities. 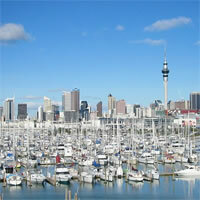 Fly into Auckland with so many beautiful beaches and Hiking trails waiting to be explored, enjoy nightlife and shopping . Up Next go to Christchurch home to adrenalin activities such as Jet Boating on the Waimakariri River , Sky diving, Tramping, Hiking and Mountaineering the high country lakes. Then fly to Sydney and enjoy this harbour city with lots of wonderfull places such as sydney Harbour Bridge, Sydney Opera House, Sydney Tower . Finally visit the colorful city of Melbourne which has all kinds of attractions from interesting museums and music halls to bars and boutiques. New Zealand's famous destinations. First stop, Auckland, a scintillating city, considered one of the most beautiful around the world, dotted with vibrant shopping precincts offering world-class collection of boutiques, sightsee beautiful Devonport, a picturesque seaside village which is a perfect choice to escape the hustle and bustle of the city, you can also take a glimpse of the islands of the Hauraki Gulf where you can enjoy countless fantastic water activities. Combine this amazing adventure flying into Rotorua, home to breathtaking sceneries, heartland of Maori Culture, bubbling mud pools, natural hot springs, as well as extraordinary highlights including Mount Tarawera, Whakarewarewa Forest, and several stunning lakes. Do not miss enjoying a truly unique adventure. Majestic experience into unique tourist destinations. Begin this marvelous adventure flying into Queenstown known as the "Adventure Capital of New Zealand". Hop on Christchurch, a cosmopolitan city with peerless attractions, definitely a must on any travel plan. Continue with this amazing escapade and fly into Cairns, a stylish city renowned for its relax ambiance and tropical climate, home to World Heritage wonders such as the Great Barrier Reef and the Daintree Rainforest. Finally to bring this incredible experience to a close, fly into Sydney, voted world's best travel destination for six consecutive years, visit Sydney Opera House which is the most recognizable landmark. A truly unforgettable experience you won't want to miss! World's friendliest cities. Begin this stunning adventure flying into Auckland, one of the world's most beautiful cities packed of world-class shopping such as Britomart Precinct, visit Devonport that offers seaside art galleries and the unique Torpedo Bay Naval Museum, then sightsee Karangahape Road famous for its live music, entertainment and cabarets, you can also take a glimpse of Mt Eden, Viaduct Harbour, Birkenhead, then move onto the islands of the Hauraki Gulf where you can enjoy countless fantastic water activities and island adventures. Combine this unique experience and hop on Rotorua, home to breathtaking sceneries, heartland of Maori Culture, bubbling mud pools, natural hot springs, as well as extraordinary highlights including Mount Tarawera, Whakarewarewa Forest, and several stunning lakes. Finally, fly into Christchurch, this cosmopolitan city boasts unique attractions, definitely a must on any travel plan, visit Canterbury Museum offering rich cultural and natural heritage, then move onto the Re Start container mall and experience unique shopping, sightsee the transitional Cardboard Cathedral; a visit to Christchurch is not complete until you go to the gorgeous Botanic Gardens, the International Antarctic Centre and Orana Wildlife Park. This is a truly perfect getaway you won't want to miss. Outstanding New Zealand. Begin this stunning adventure flying into Auckland, one of the world's most beautiful cities, trek through dense native rainforest and enjoy ​the sweeping white sand beach at Anchor Bay. Do not forget to visit Waitakere Ranges Regional Park as well as Britomart Precinct where you can enjoy world-class shopping, go to Karangahape Road famous for its live music, entertainment and cabarets and then move onto the islands of the Hauraki Gulf where you can enjoy countless fantastic water activities. Continue with this incredible experience and hop on Rotorua, home to breathtaking sceneries, heartland of Maori Culture, spectacular geysers, colorful crater lakes, and bubbling mud pools. Then, fly into Queenstown, known as the "Adventure Capital of New Zealand", this top visitor destination offers the perfect setting for adventure and fun all year, explore the crystal clear Lake Wakatipu, Lake Hayes, The Remarkables ski field that offers great skiing and snowboarding, Gibbston Valley where you can enjoy tours of the winery and the astonishing wine cave, do not miss visiting Arrowtown which is one of the most picturesque settlements in New Zealand. Finally, visit Christchurch, a cosmopolitan city with unique attractions, definitely a must on any travel plan, visit Canterbury Museum offering rich cultural and natural heritage, then move onto the Re Start container mall and experience unique shopping, sightsee the transitional Cardboard Cathedral; a visit to Christchurch is not complete until you go to the gorgeous Botanic Gardens, the International Antarctic Centre and Orana Wildlife Park. This is a truly perfect getaway you won't want to miss. Experience New Zealand's top destinations. First, fly to Auckland and cruise to the volcanic island Rangitoto, go canyoning through pools, waterfalls and enjoy all this modern city has to offer. Then visit Wellington, a city where the magic comes to life from culture, art and restaurants to outdoors beautiful landscapes. Do not miss the opportunity to get a panoramic view of the city at the Mount Victoria Lookout. Finally go to Queenstown, and enjoy this spectacular city surrounded by mountains, and situated on the edge of crystal clear Lake Wakatipu. 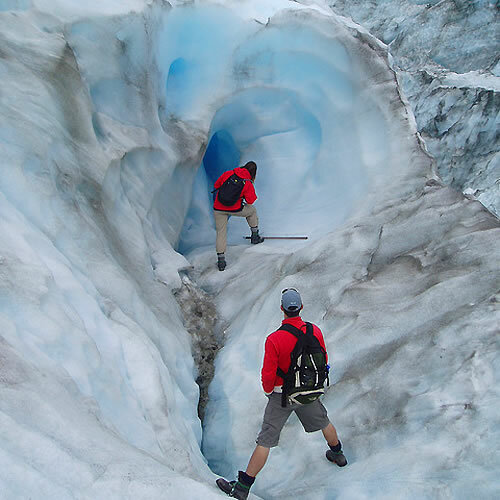 The Queenstown region is famous for adventure and adrenalin activities that will make your trip unforgetable. Combination of extreme natural beauty. Begin this incredible experience flying into Christchurch, a cosmopolitan city with unique attractions, definitely a must on any travel plan, visit Canterbury Museum offering rich cultural and natural heritage, then move onto the Re Start container mall and experience unique shopping, sightsee the transitional Cardboard Cathedral; a visit to Christchurch is not complete until you go to the gorgeous Botanic Gardens, the International Antarctic Centre and Orana Wildlife Park. Combine this splendid experience flying into Queenstown, known as the "Adventure Capital of New Zealand", this top visitor destination offers the perfect setting for adventure and fun all year, explore the crystal clear Lake Wakatipu, Lake Hayes, The Remarkables ski field that offers great skiing and snowboarding, Gibbston Valley where you can enjoy tours of the winery and the astonishing wine cave, do not miss visiting Arrowtown which is one of the most picturesque settlements in New Zealand. New Zealand Must-do Itinerary. 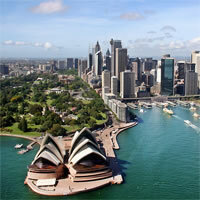 Begin this unforgettable trip flying into Auckland and travel around these amazing cities by car. 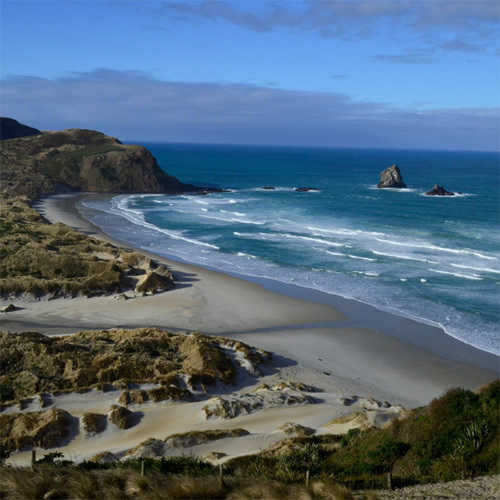 You will discover the best of Auckland, Rotorua, Napier, Wellington, Picton, Nelson, Kaikoura, Christchurch, Lake Tekapo and Queenstown, from the tropical golden beaches of the North Island to the wild and wonderful South Island.